Since 1992, the attorneys of Breakstone, White & Gluck have represented clients injured by the negligence of drivers in Attleboro, North Attleboro, Mansfield and Foxborough. We are experts in auto insurance laws, specializing in claims involving car accidents, pedestrian accidents, bicycle accidents and truck crashes. When you consult our attorneys, we understand you have suffered a traumatic, painful and unexpected ordeal. Now more than ever, you need answers. One of the most common questions: who will pay my medical bills after a car accident in Massachusetts? But there are other questions, including what if I can't work? And how will I pay my bills? Call us today for a free legal consultation at 800-378-1244. Our Attleboro car accident lawyers can explain your legal rights and help you determine if you have a potential claim against a driver. Attleboro is located near the Massachusetts border, just 10 miles from Providence, Rhode Island and 10 miles to Taunton. Interstate 95 is a major route, bringing in more than 100,000 vehicles a day at times. Drivers must give their full attention to driving in this heavy traffic. The Massachusetts State Police have barracks in Foxboro to monitor Route 1, Route 495 and Interstate 95, which sees frequent car crashes, motorcycle accidents and truck collisions. Near Gillette Stadium, I-95 is known for mighty traffic after Patriots' games and other events. Drivers are banned from texting while driving or operating under the influence of alcohol in Massachusetts. But it happens, at a high cost to others on the road. Then there are commercial truck drivers and bus operators, who carry heavy loads in high traffic. They can make life-changing mistakes in a second, by taking their eyes off the road, driving drowsy or picking up a cell phone. Within the city, the Attleboro Police Department is responsible for investigating car accidents. They know Highland Avenue in South Attleboro well. This street is ranked 11th out of the 100 most dangerous intersections in the Attleboro region, according to the Southeast Regional Planning and Economic Development District. Speeding is a problem on many Attleboro streets, including Route 1 and Route 152. If you have been injured by a negligent driver, you may be entitled to file a claim against the driver’s auto insurance. In cases involving large commercial trucks, you may be entitled to file a claim against the driver’s employer. To learn more, consult an experienced Attleboro car accident lawyer. A lawyer can advise you of your legal rights and help you build a case proving the driver crashed and directly caused your injuries. Depending on your injuries, you may be entitled to damages for medical bills, lost wages, loss of consortium and pain and suffering. There may also be other damages available depending on the facts leading up to your injury. In Massachusetts, the first $2,000 in medical bills is typically covered by the insurance on the car you were traveling in (this is known as Personal Injury Protection). Pedestrians and cyclists are covered by the vehicle which hit them. But medical bills can quickly climb higher, making it important to contact an experienced car accident lawyer right away. Many people are reluctant to consult a lawyer because they are worried about the cost. This is understandable. Our attorneys offer a free legal consultation to explain your legal rights. We will review your case, then make a determination about whether we can bring a claim on your behalf. We accept most cases on a contingency basis, with our fee taken out of the final settlement or verdict. Please read our FAQ page about hiring a personal injury lawyer or feel free to ask our attorneys questions. Attleboro has seen fatal pedestrian accidents and cycling crashes. At the intersection of Pine and Maple streets, a cyclist was fatally struck in 2015. On North Main Street, near Peck Street, a 60-year-old pedestrian lost his life in a pedestrian crash in January 2017. Drivers have a responsibility to operate with reasonable care. This means following traffic laws, such as allowing pedestrians to cross at crosswalks and providing cyclists adequate room to turn at intersections and not crowding them on the side of the road or in bike lanes. Drivers have a responsibility to follow traffic laws on all Attleboro roads and busy parking lots near schools and the one near Emerald Square Mall. As a cyclist or pedestrian, what should you do if you have been injured by a driver in Massachusetts? Receive medical treatment (even if you do not think you have suffered any injuries), file a police report and consult an Attleboro car accident lawyer. After a bicycle or pedestrian accident, contacting a car accident is critical. Pedestrians and cyclists are less likely to see who hit them. And if the driver fails to come forward, you cannot bring a claim against them to recover compensation. 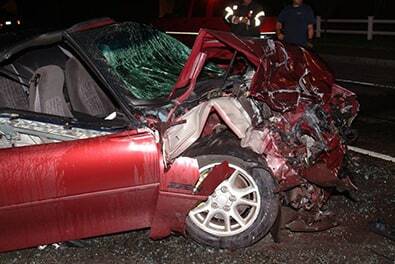 Retaining an attorney to investigate and help locate the driver can make all the difference in your recovery. If the driver is not identified, an attorney may still be able to help you bring a claim against your own auto insurance policy for compensation. While most people think they can handle these matters on their own, it is in your best interest to consult an attorney experienced in resolving auto insurance claims on behalf of clients. Our attorneys have settled thousands of cases over 25 years. The Attleboro car crash lawyers at Breakstone, White & Gluck have over 100 years combined experience negotiating compensation for clients who were injured by negligence, recklessness or wrongdoing on the roads. We are consistently recognized for our top results for clients, with selection to the Top 100 New England Super Lawyers, Top 100 Massachusetts Super Lawyers and Massachusetts Super Lawyers lists. Contact our attorneys to learn your legal rights at 800-379-1244 or use our contact form.